Rejoice, dance, and let the world know how happy you are: @accounts and #hashtags are now clickable in Instagram bios. Go ahead, it’s okay to celebrate! This is the type of update that can really change the way we connect and discover others on Instagram. Until now, we’ve all had a mere 150 characters of plain text (and Emoji) to introduce ourselves to the world. That and one single hyperlink to any other website or social media profile of our choice. That has now changed. 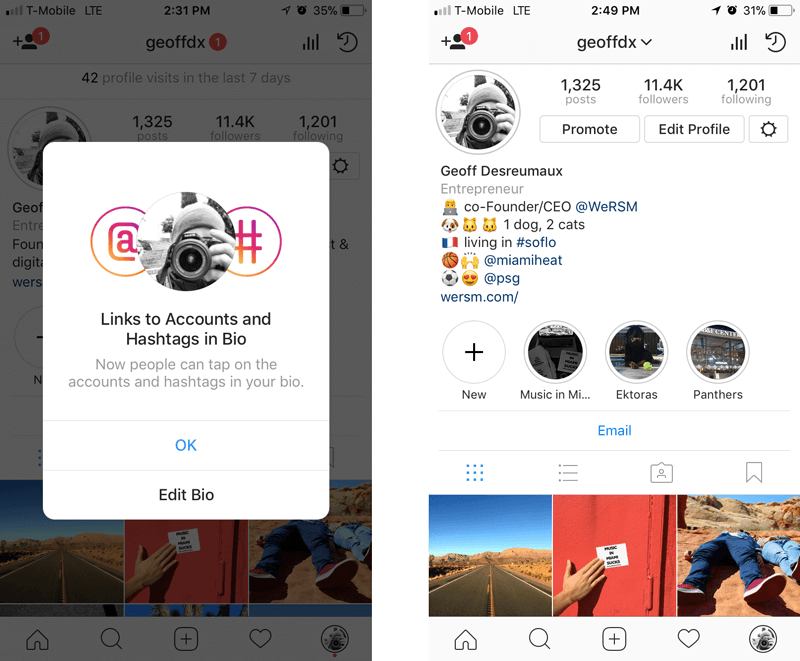 You can now edit your profile bio to include clickable hashtags and other Instagram profiles, opening up a new world of linking possibility.